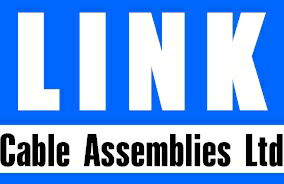 Link Cable Assemblies Ltd was founded in 2002 following a MBO from Stadium group PLC. 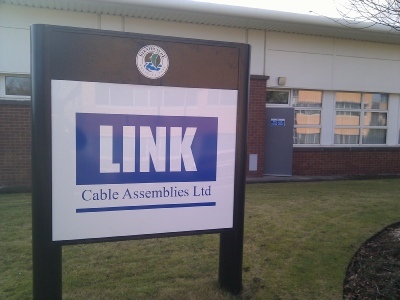 Based in Strathclyde Business Park in Bellshill we manufacture and import cable assemblies, control panels and associated electronic components for a wide range of industries. We support our clients with design support, logistics and component sourcing. 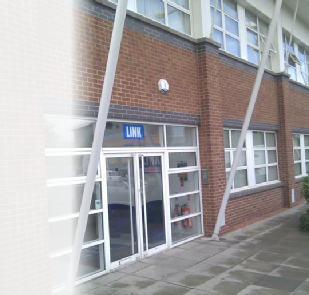 With circa 70 production staff working in our 12000 Sq ft production facilities our focus is on developing long term partnerships and producing high end quality products for our customers. From M80,M73 follow signs for Edinburgh. Join the A8 at junction 8 and follow signs for Coatbridge. Take the exit after the Showcase Cinema and follow signs for Bellshill, Hamilton bearing left onto the dual carriage way. Take the 1st exit as you pass the Hilton Hotel on your right. At roundabout take the 3rd exit and pass over the dual carriage way. At next roundabout take the 2nd exit signposted Strathclyde business park. At the traffic lights go straight on passing the Hilton Hotel on your right. Mallard Way is 3rd on your left. For M9 follow signs for Glasgow and head west. After you pass Euro Central take the exit signposted Bellshill bearing left onto the dual carriage way. Take the 1st exit as you pass the Hilton Hotel on your right. At roundabout take the 3rd exit and pass over the dual carriage way. At next roundabout take the 2nd exit signposted Strathclyde business park. At the traffic lights go straight on passing the Hilton Hotel on your right. Mallard Way is 3rd on your left. Exit M74 after the Services. Take sliproad signposted East Kilbride/Bellshill. At roundabout take the 3 exit and head up the dual carriageway towards Bellshill. After you pass McDonalds on the left hand side move to the left lane. Continue past the next junction and take slip road to Strathclyde Business Park. You will see the Hilton directly in front of you. At the traffic lights turn right and pass the Hilton on your right. Mallard way is 3rd on your left.